Experience a never-ending supply of fresh hot water, and a sleek, sculpted water heater design. 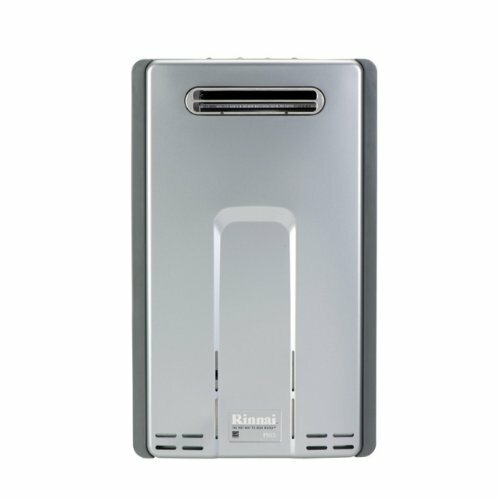 Whether you are building a spacious new home or remodeling your older home, Rinnai LS units can be used individually, in pairs, or in banks of three or more to supply all your hot water needs. LS Series interior-mount units can be placed in any room, vent directly to the outside and have an integrated condensate collector. LS Series exterior-mount units require no additional venting and can even be installed in a recessed enclosure, then painted or textured to match the exterior of your home for a clean, inconspicuous appearance. All LS units contain a commercial-grade heat exchanger for optimum durability. Homeowners get the reliability of commercial-grade construction and an industry-leading 12-year limited warranty.